Hundreds of years ago conservatories were actually used as a place to store exotic plants over the winter. It’s only in the last 100 years that they have taken on more of a social role, being used as everything from dining rooms and reading rooms, to playrooms and offices. Originally, only really available to the rich, conservatories are now much more affordable and are one of the most popular home improvements in the UK. Here are 8 reasons why you should invest in a conservatory right now. The right conservatory can do wonders to the appearance of your property and really give the neighbours something to talk about. Conservatories are available in an array of different styles and designs to suit both modern and traditional look homes, making them a very versatile structure. Styles such as Victorian, Edwardian and Gable are suited to period properties and lovers of traditional, vintage looks. More contemporary styles however like Lean-to, P-shaped and T-shaped conservatories are suited to modern homes and contemporary looks. Whatever type of style your trying to pursue in your home, you’re sure to be able to find a conservatory design that compliments it completely at Alpine Glass. Due to their large areas of glazing and incredibly slim sightlines, conservatories maximise the amount of natural light that can reach into a home. At Alpine Glass, all of our conservatories utilise exceptional quality double glazing for enhanced clarity of light. 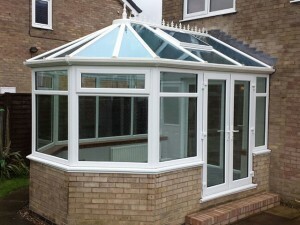 This makes a conservatory from our range a worthwhile investment if you want to improve the brightness of a property. Despite any preconceptions you may have about price, conservatories are actually relatively affordable to install and heat. Most of the space benefits provided by moving to a new property can be created by simply adding a well-designed conservatory to your existing home. In effect, moving to a new home could end up costing you more when you take moving costs, estate agents fees and stamp duty into account. In many situations this money could be better spent by improving your current property with a conservatory. Thanks to their high quality fabrication and precision-engineered design, modern uPVC conservatories are incredibly energy efficient. This means that they can help keep your home warmer for longer, using less energy and saving you more money on your heating bills. The improved quality of uPVC and glazing used in our conservatories means that temperatures can be balanced much more effectively than in older structures, allowing you to use the space all year round! One of the main motivations many people have for installing a conservatory is the desire to add extra space to their home. Conservatories are an affordable, yet versatile way to improve the footprint of a property without having to break the bank on a costly extension or remodel. Perfect for use as dining rooms and playrooms, as well as home offices and utility rooms, conservatories can be easily adapted to the individual needs of any property and household. Unlike extensions and other structures, if under a certain size conservatories will not need planning permission. This makes them an easy way to add space to your home, without having to go through the of the planning process. Size rules for structures can vary place to place, so check with your local authority beforehand to see what the guidelines are. By virtue of their practical design, conservatories help to improve access to the outdoors. Useful if you want improved access to a garden or garage adjoining your property, a conservatory can provide a unique buffer space between the outside and home. This space can be used both as a place to enjoy the outside from the comfort of the inside, or simply as an easier way to access it! 8. A higher house price! A conservatory can also represent a very worthwhile investment for your property: particularly if you plan on moving house eventually. The money-saving website, thisismoney.co.uk estimates that by adding a conservatory to your home, you can add almost 10% to the value of your home. This can make adding a conservatory a very worthwhile investment if you’re planning to sell up in a few years. 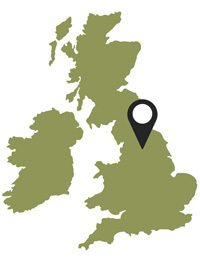 A friendly, family-run conservatory installer, Alpine Glass have improved thousands of homes across West Yorkshire. To find out more about our conservatories and our services, please get in contact with us on 0800 043 8600 or get in touch online. This entry was posted in Conservatories by Alpine Glass. Bookmark the permalink.